Pulao Masala Recipe with step by step instructions.తెలుగు వెర్షన్. Pulao tastes amazing when it is prepared with homemade pulao masala powder. 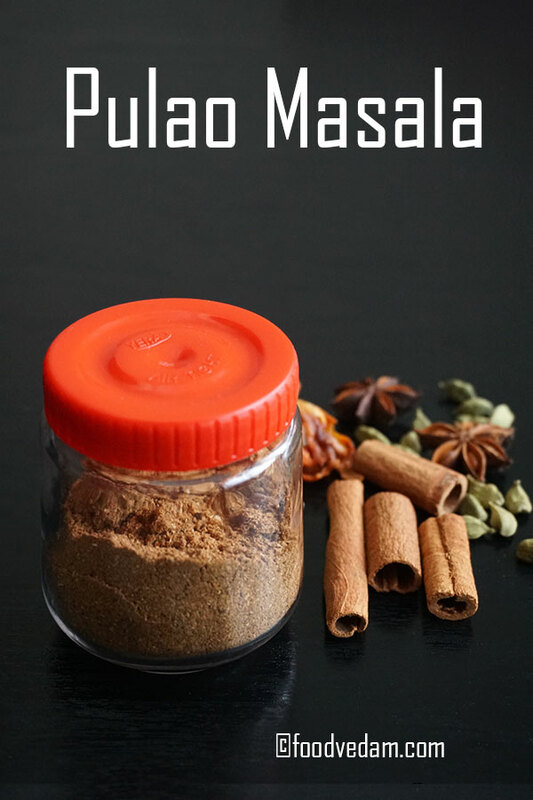 if you search for Pulao Masala you may see Biryani Masala recipe in the search results. there starts the confusion. is the recipe for Biryani Masala and Pulao Masala same? if not what is the difference. 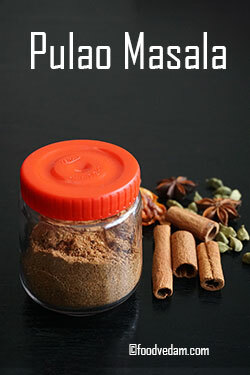 the spices that we use in both the masalas are almost the same. we usually cook biryani with meat. so to remove the fishy smell of the meat, all the masala spices including the pungent spices like nutmeg, mace, cloves are added. Pulao is usually a flavored rice. 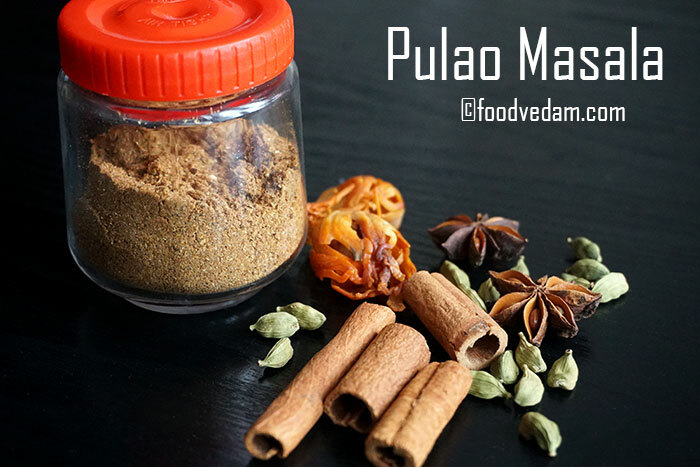 so the Pulao Masala is made of subtly flavored masala spices like cardamom, fennel seeds, and star anise. that means the proportions of these spices( cardamom, fennel) should be more in the masala. if you are cooking pulao along with meat then you can use biryani masala. or if you are cooking pulao along with vegetables then you can use the masala recipe given below. adding ghee in biryani and pulao enhances the flavor. you can enjoy the actual authentic taste of pulao with homemade masala. I hope you try the recipe. Heat a pan, add coriander seeds, fennel seeds, cardamom, cloves, bay leaves, cinnamon sticks, Javitri, nutmeg, kapok buds, star anise and roast until the aroma comes out. Turn off the flame and let it cool down for 2 minutes. Meanwhile, remove the cardamom seeds from the pods. Later, grind them into a fine powder. Transfer the powder into an airtight container.